Ford Europe: Winter driving is snow joke! Winter driving is snow joke! Snow, ice, rain, darkness, wind and the blinding low sun; there’s little wonder that many drivers, no matter their level of experience, dislike driving in winter. In Britain, more than half of motorway fatalities happen at night in rain, snow or ice, and it’s a similar story for fatalities in built-up areas. Driving too quickly for the conditions is a key factor in all winter accidents, and something most common amongst younger, more inexperienced drivers. 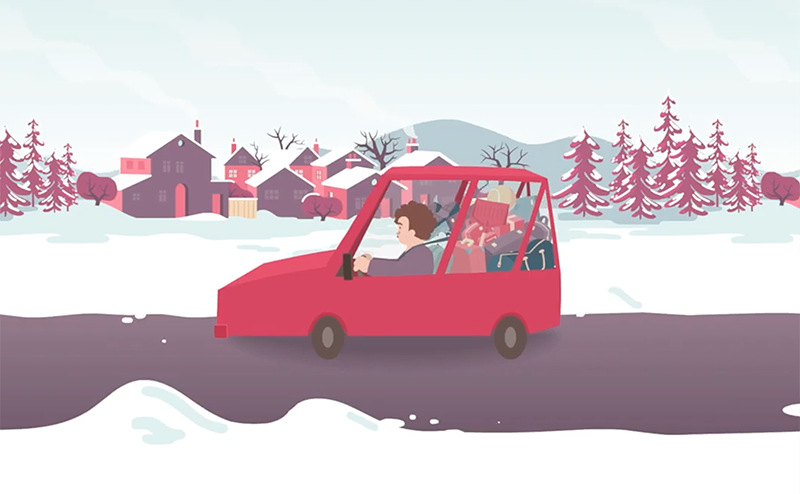 Ford Europe's latest light-hearted animation can hopefully help remind drivers of any age of some winter driving hazards, with top tips below also worth keeping in mind before heading out this season. Visit Ford DSFL, or view more DSFL stories.